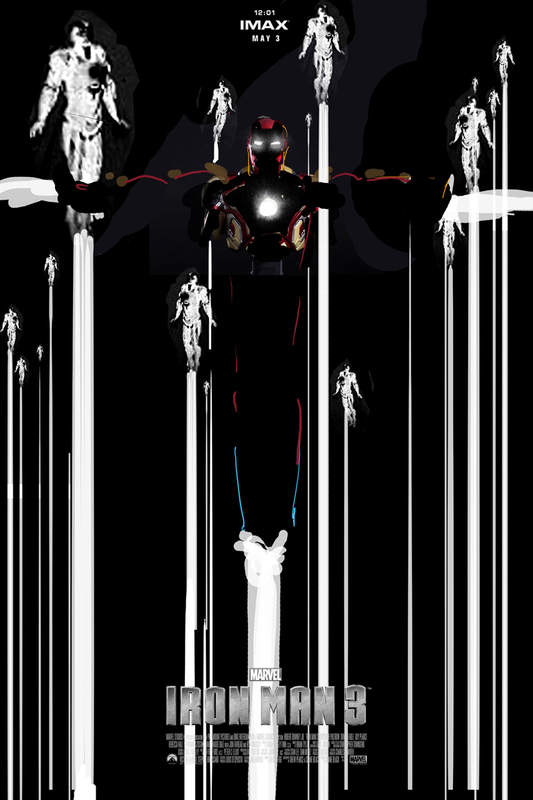 Yesterday, we brought you the Iron Man 3 poster created by comic artist Jock that would be handed out at midnight screenings of the highly anticipated film. Here's a series of alternate poster art that the artist created that ended up not being used. Now just because it wasn't used doesn't mean it's not cool! 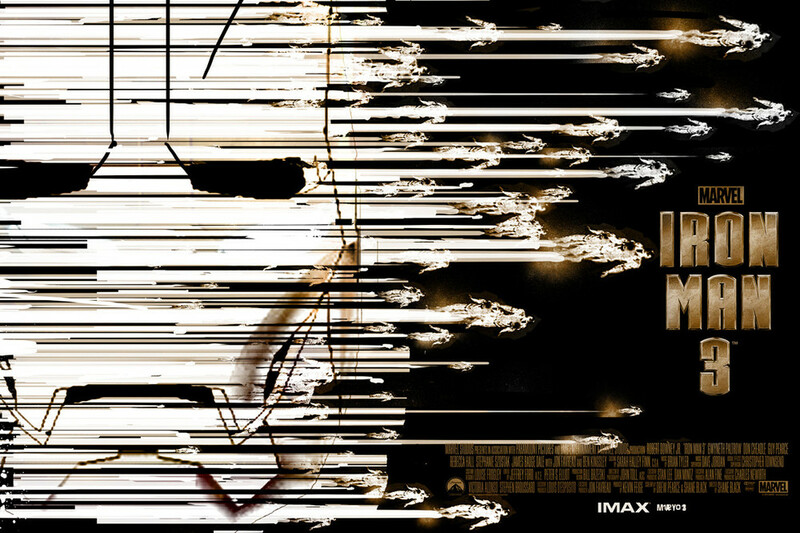 In fact, a lot of these are better than the poster that IMAX used. They seemed to go with the safe bet. I've also included a new TV spot that was released for the movie! And in case you're wondering, yes... it has new footage. 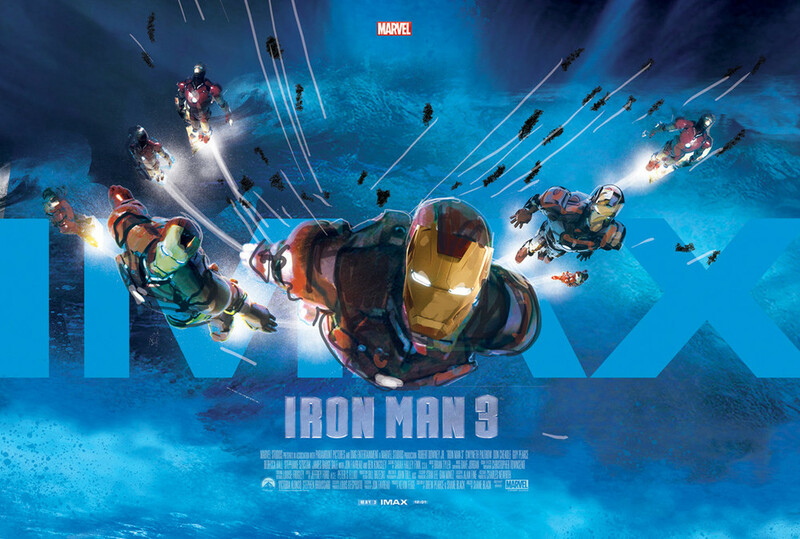 Iron Man 3 comes out in theaters on May 3rd, and you're in for a wild ride full of unexpected surprises! You can see the rest of the posters below the TV Spot! 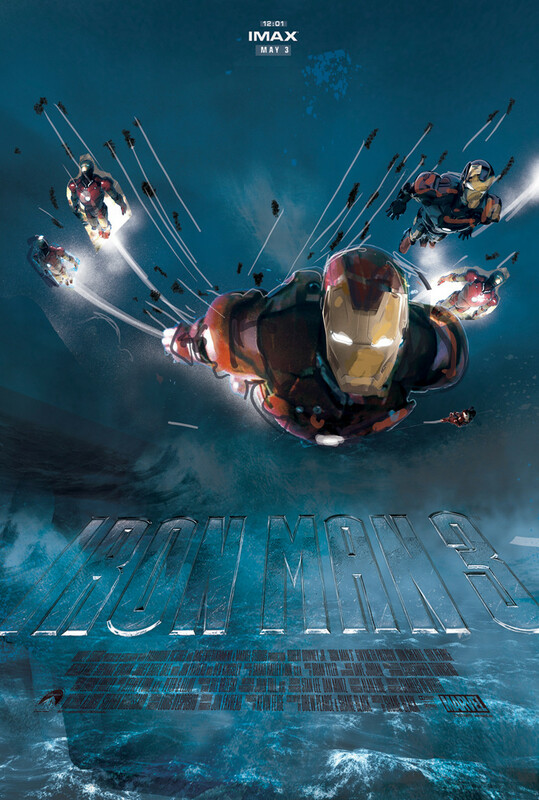 Marvel’s Iron Man 3 pits brash-but-brilliant industrialist Tony Stark/Iron Man against an enemy whose reach knows no bounds. When Stark finds his personal world destroyed at his enemy's hands, he embarks on a harrowing quest to find those responsible. This journey, at every turn, will test his mettle. 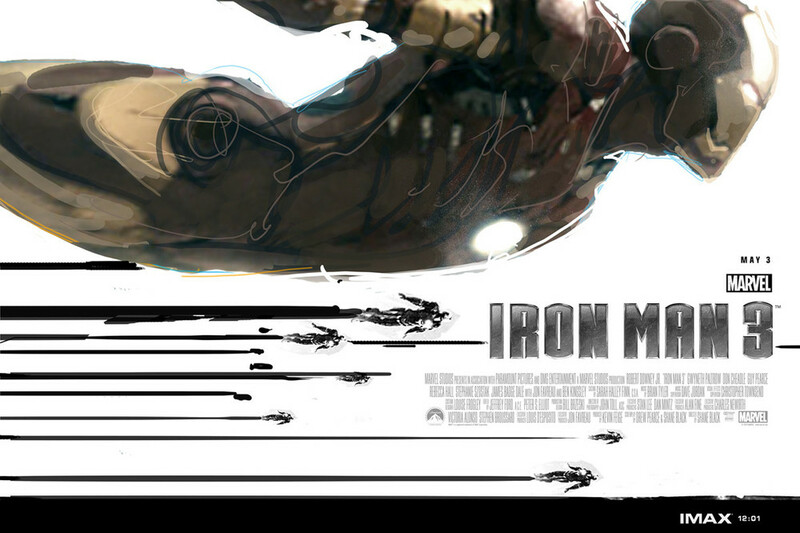 With his back against the wall, Stark is left to survive by his own devices, relying on his ingenuity and instincts to protect those closest to him. As he fights his way back, Stark discovers the answer to the question that has secretly haunted him: does the man make the suit or does the suit make the man? 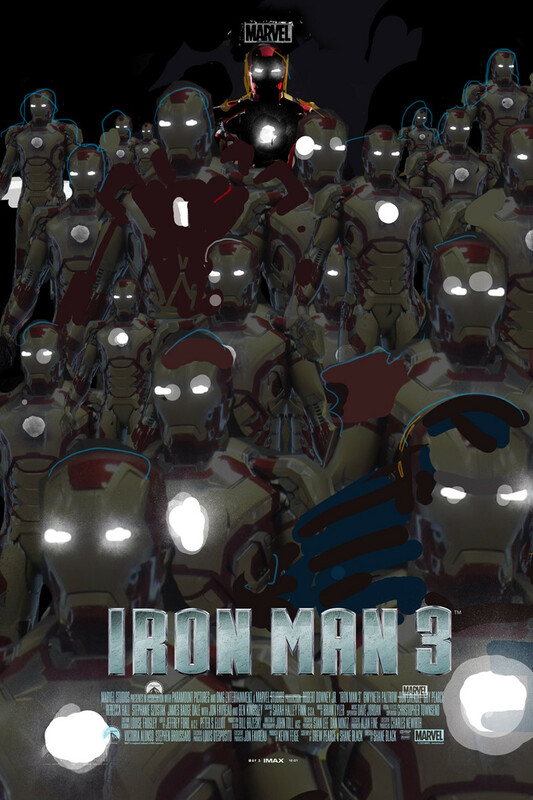 Tony Stark's in Big Trouble in this New IRON MAN 3 Poster! 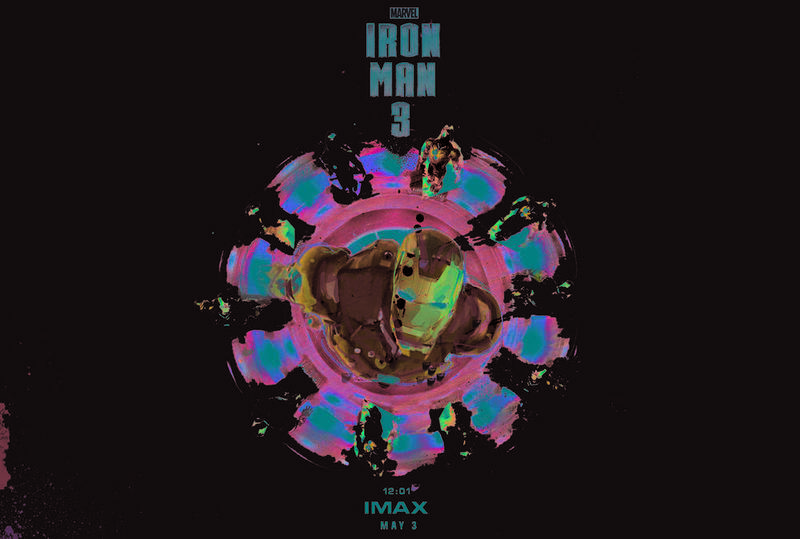 IRON MAN 3 IMAX Poster! 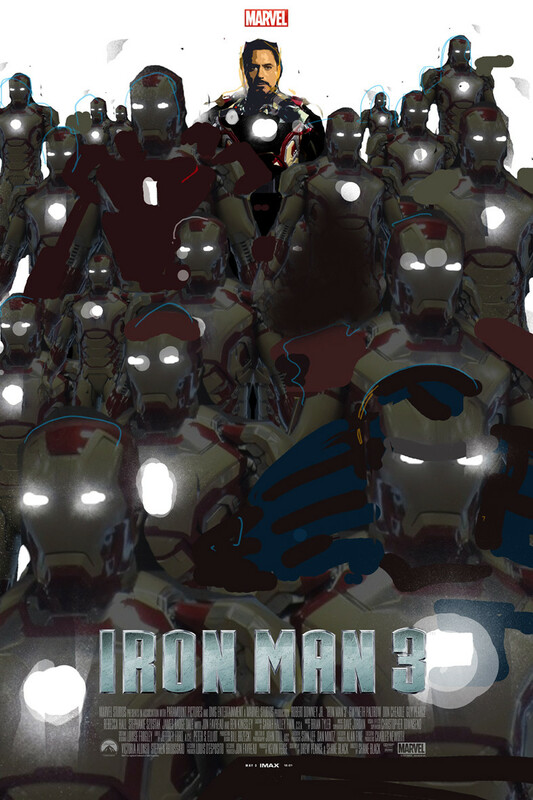 Radical IRON MAN 3 Midnight IMAX Poster!